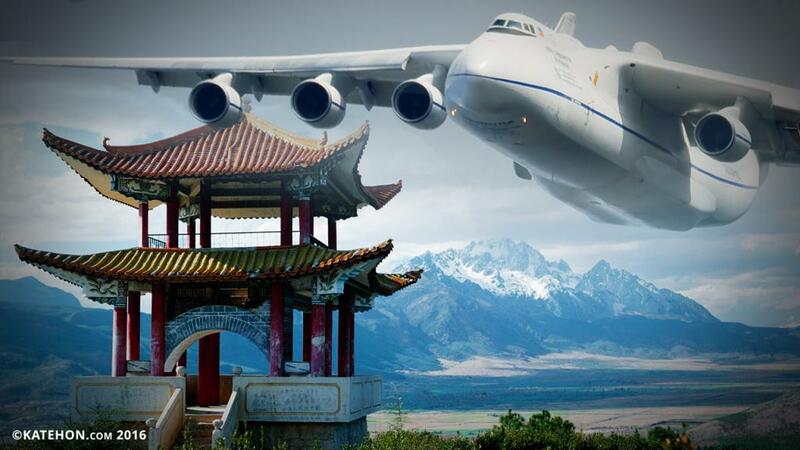 Home » Why does China want to produce the AN-225, the largest military cargo plane in the world? China possesses nuclear weapons and numerous and well-armed ground forces. China has a fleet being fully transformed in a deep offensive spirit capable of operating far away from base. China has sufficient competitive multirole aircrafts. The largest problem is that the Chinese military’s logistical capacity is limited due to cargo aircraft fleet that is small and has reduced transport capacity. Although China has modern technology in terms of avionics, they still cannot build strong engines and motors, and it would take years for the technology transfer to enable them to have the most powerful jet engines. This year, the Xian Y-20 heavy military transport plane with a maximum payload of 66 tons is going into serial production. This aircraft is similar to the Boeing C-17 Globemaster III, 222 copies of which exist in the US Army. Although China has the funds to build hundreds of Y-20, the key issue is that the plane would need engines with a thrust of 20,000 kgf. These are the engines that China cannot produce, and Pratt & Whitney and Rolls Royce do not sell them as long as China is under Western embargo in terms of military equipment. Therefore, the pre-serial Y-20 used D-30 (14,000 kg) aircraft engines taken from Russian Il-76 aircraft (maximum payload of 50 tons). To solve the problem of high power jet engines, on August 30th, 2016, the corporation Aviation Industry Corporation of China (AVIC) and Ukrainian Antonov group signed a contract which is rumored to be worth $ 4 billion. The contract covers the production of military cargo aircraft and An-225 Mriya in China. AN-225 holds the world record of payload capacity shipped (23.4 thousand kg) with a wingspan of 88 m, a length of 84 m, and a maximum flight distance of 15,400 km.The AN-225 weighs 640 t at takeoff, unlike the largest American military cargo aircraft C-5 Galaxy which weighs 381 t at takeoff. The US military has 55 C-5B’s manufactured before 1989 but modernized. The An-225 was developed from the AN-124, a four-engine airplane with a maximum take-off mass of 405 t featuring lengthened wings and fuselage, and a double empennage (two-tailed). These changes were made by the Soviets to take on the fuselage of the Soviet space shuttle Buran. One AN-225 plane was operationalized in 1988 as a civilian aircraft flying under Ukrainian registration UR-82 060. The second AN-225 copy was built in 1987 but only 70% completed because of a lack of funds. The first phase of the contract between China and Ukraine provides for the completion and upgrading of the second AN-225 at the Antonov factory in Kiev. The air force plane will be delivered to China in 2017. Officially, China did not receive the technical documentation and rights to the production of thr An-225, but, taking into account the widespread corruption in Ukraine and Chinese interests in this aircraft, we can suppose that the chances that China will receive all necessary documentation and technological secrets is very high. According to the Chinese side, the deal presumes the creation of an AICC-based production line for the assembly of this type of aircraft and the formation of the production base of spare parts to them in China. The second phase of the contract provides for the establishment in China of two large production facilities for the new AN-225, located in Central and Southern China. Antonov will deliver the necessary technological and purchase production equipment for the Chinese. The first completely redesigned AN-225 is expected to start flying in 2019. China is a booming economy, has huge funds, and can build from 10 to 15 aircraft AN-225 per year, creating up to 20125, a military cargo fleet of AN-225 50-75 with which they can design a worldwide force, or create an effective air bridge between the Chinese mainland and islands in the South China Sea which China claims. AN-225 planes can be adjusted to be air supply tankers. 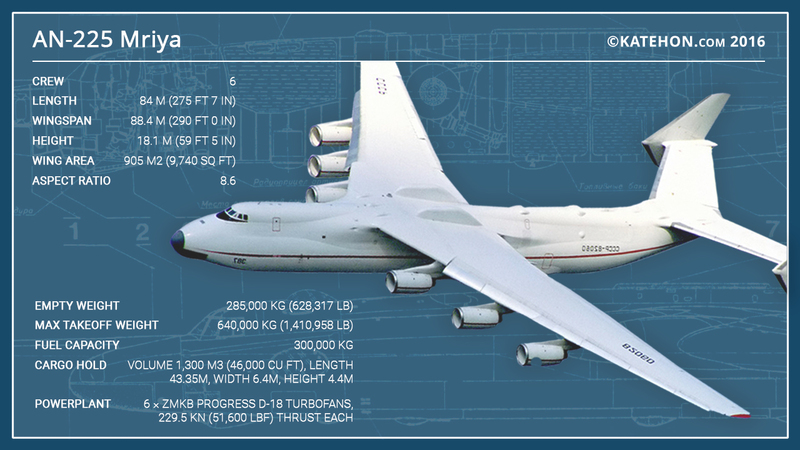 One AN-225 can carry 5-6 Chinese tanks or 12 armored personnel carriers. The AN-225 is powered by six Progress D-18T engines with 25,000 kgf traction and the same engine as for an AN-124. There is, however, a drawback. Since the beginning of 1984, the Motor Sich plant in Zaporizhia has only produced 188 such engines, the majority before 2001. The Progress D-18T engine is an older model and has not been modernized. It has a short life span and a specific fuel consumption that is 40% higher than American or British engines. China has two types of V-generation multirole aircraft (J-20 and J-31) that uses stealth technology. If China manages to produce upgraded Progress D-18T engines, it will be able to build strategic "invisible" bombers like the American B-2 bomber.